In Abraham, God chose a people to begin His grand reclamation project of restoring all things. He watched over Abraham and his family for generations as pilgrims and refugees. And when He brought them out of slavery in Egypt, He gave them the Law to help define the relationship between the chosen people and their God. The Ten Commandments are the primary laws, given first and in many ways summarizing all that would follow and further flesh out what it means to be God’s people in God’s world. Most think of these commandments as a list of ‘thou shalt nots,’ limitations and legalistic denials. However, as boundary markers in our relationship with God and with others, these ‘nos’ are meant to point towards much greater ‘yesses’ as we live in way that is marked by love of God and love of others. 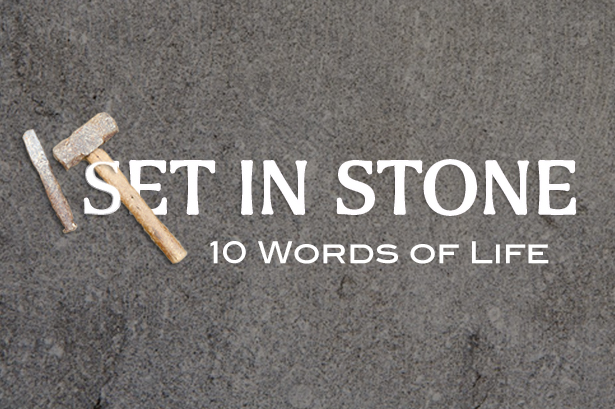 As we look at these ten words of life, we will learn more about the nature of both sin and grace as we consider the contours of the life God intends for His people.